DESPITE more than 100 interested and affected parties (IAPs) who registered their objections to Ibutho Coal’s proposed Fuleni mine, only 89 were officially invited to the recent Regional Mining Development Environmental Committee (RMDEC) meeting in Nseleni. RMDEC is a statutory body of the Department of Mineral Affairs Mining Board and represents various departments, including mineral resources; water and sanitation; agriculture, forestry and fisheries; economic development, tourism and environmental affairs, as well as the Regional Land Claims Commission and Provincial House of Traditional Leaders. The meeting was scheduled to give IAPs a chance to substantiate their objections to the proposed Fuleni mine. While hundreds of IAPs, both individuals and environmental organisations, lodged formal objections to the mine, and all of whom were registered on a database compiled by Lizinda Dickson of Naledi Consulting, responsible for the EIA (environmental impact assessment) public participation process, the majority of the 89 invited to attend the RMDEC meeting live overseas. No members of the Fuleni communities were invited to the meeting, despite many being registered IAPs. Neither were the Wilderness Action Group (WAG), African Conservation Trust (ACT), Wildlands Conservation Trust (WCT) and many tourism businesses invited, despite being registered IAPs. Nevertheless, the meeting forged ahead and objectors present stated their cases. iSimangaliso Wetland Park Authority stated how Fuleni mine would impact the St Lucia estuary system by placing increased pressure on the water supply of the Mfolozi River. Ezemvelo KZN Wildlife highlighted how another opencast mine, with its blasting reverberations, mining dust and light pollution, would cause the world renowned iMfolozi Wilderness section of Hluhluwe-iMfolozi Park (HiP) to lose its status. 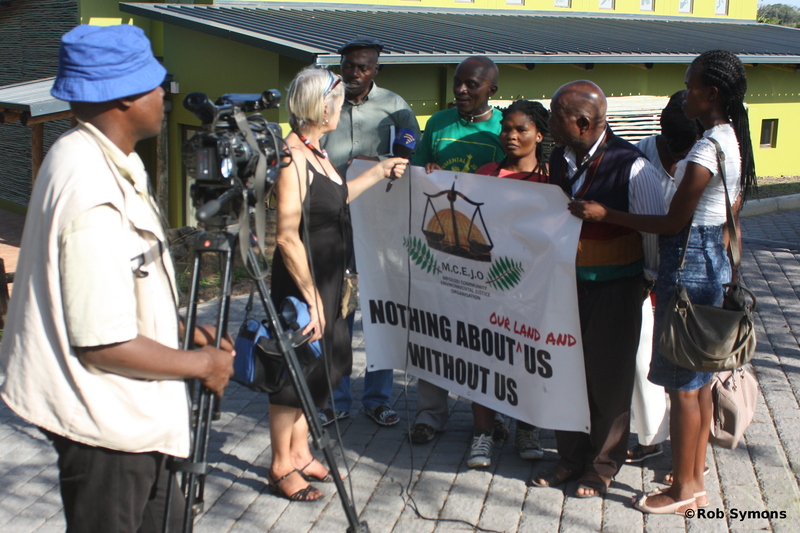 Fuleni residents, represented by Mfolozi Community Environmental Justice Organisation (MCEJO) handed a memorandum to RMDEC marking their ‘frustration’ over an apparently corrupt Mhlana Traditional Council and the disregard of the people by both the government and Ibutho Coal. Other objectors included Kirsten Youens, Environmental Attorney representing Global Environmental Trust, groundWork and Mining Affected Communities United in Action (MACUA). Youens strongly criticised the lack of access to pertinent documents, including the mining application, which she requested two years ago. Wilderness Leadership School (WLS) and Wildlife and Environment Society of South Africa (WESSA) also substantiated their objections prior to Ibutho Coal being given the floor. In silent protest, Fuleni communities left the meeting without hearing Ibutho Coal’s reaction to objections. The Department of Mineral Resources (DMR) was contacted for comment following the RMDEC meeting but failed to respond.